Welcome to the wonderful sport of Banked Track Roller Derby! 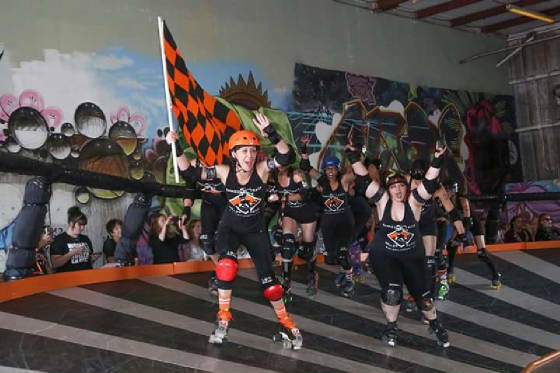 Our goals are to bring energy, excitement, fun and athleticism to those who attend our games and to create a relaxed and enjoyable environment for women to learn how to play Banked Track Roller Derby, form life-long friends and feel part of an amazing, supportive group. Our missions are to help charitable organizations in our community who support the welfare of animals and children. CLICK HERE FOR TICKETS for our April 27, 2019 game event - St. Petersburg's Deadly Rival vs Houston's South Side! Ladies, want to be a part of something AMAZING & UNIQUE? Want to see what Banked Track Roller Derby is all about? No experience necessary, we will train you. Here at Deadly Rival, we believe if you want it, you can do it! If you try, we will be there with you every step of the way to encourage you. You will make new friends, improve your health & fitness and have a blast doing it. We look forward to meeting you. Gentlemen, we have a rewarding and unique opportunity for you, or the ladies, to train to become a Referee! For more information about our league, how to join us, or volunteering, please email DeadlyRivalRollerDerby@gmail.com. Please also find us on Facebook under Deadly Rival Roller Derby and "like" and "follow" us. On Facebook you will see us hold random contests, skater posts, pictures, events, video and more!